While brushing techniques and brushing habits are the two most important factors when it comes to how well you brush your teeth, the type of toothbrush you choose for the job can also make a difference. For example, you want a brush handle that you can comfortably hold and a brush head small enough to reach all areas of your mouth. Dr. Lon Riemer, a family dentist in St. Albert, is often asked about whether a manual or an electric toothbrush is the better option. The truth is that both have certain pros and cons you should consider. The good old-fashioned manual toothbrush is still preferred by many people for its simplicity. With the right technique, a manual toothbrush can provide a thorough and complete clean that keeps plaque bacteria in check. Manual toothbrushes come in a wide array of different styles, are relatively inexpensive, and are easily stored. They are also very easy to pack and travel with. The biggest drawback of a manual brush that is often seen by dentists in St. Albert is that many people have a hard time developing an effective brushing technique with one. Without a good technique, plaque bacteria won’t get properly removed and can easily harden into tartar, causing cavities and gingivitis. 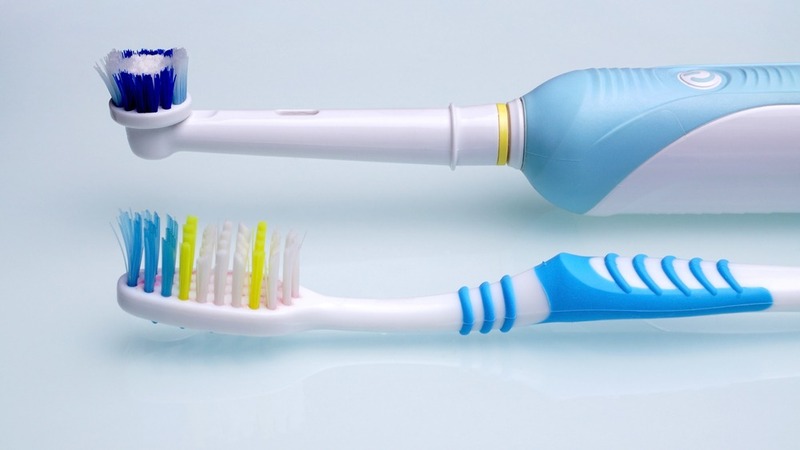 While many people are choosing to stay with manual toothbrushes, more and more are also choosing to switch to electric toothbrushes, and for many good reasons. For one, electric toothbrushes are a lot more fun to use, especially for children. They are also easier to use, which can be beneficial for people with mobility issues, such as arthritis. Easily the biggest pro of an electric toothbrush is that it is capable of cleaning more plaque with less work. While technique is still important, it’s not as important as with a manual brush. You simply hold the electric toothbrush to your teeth, and it does most of the work for you. While they have numerous attractive benefits, electric toothbrushes also unfortunately tend to be a good deal more expensive than manual ones. They are also more easily damaged and more expensive to replace. Additionally, electric toothbrushes need to be regularly charged or to have their batteries replaced, and they can be much more difficult to travel with due to their bulk and breakability. If you’re still unsure about which type of brush to use, then Dr. Lon Riemer, your St. Albert family dentist, would be happy to help you find out. While today’s electric toothbrushes are a great option for many people, your brushing habits and your oral health will indicate which type of brush is really best for you. Simply contact Dr. Riemer’s dental clinic to schedule an appointment for a checkup, and together we can decide whether switching the type of brush you use would be a good idea.